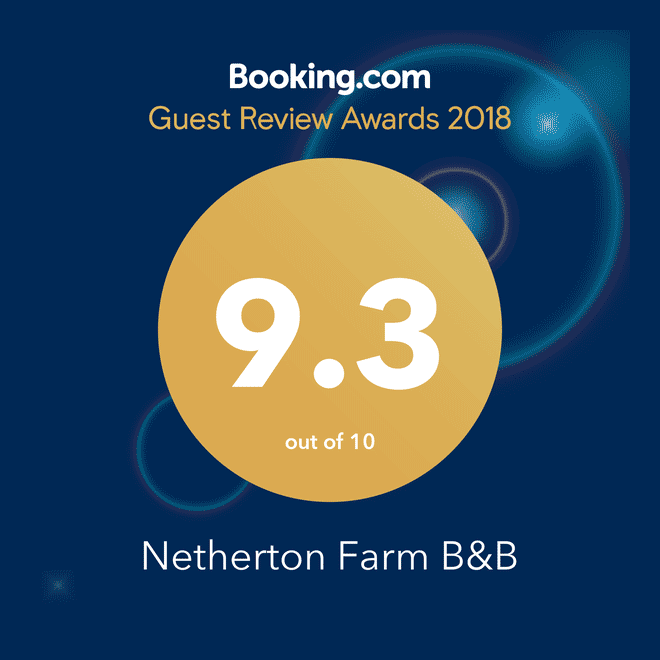 If you enjoyed your stay at Netherton Farm please let us know! Read over 125 more reviews of Netherton Farm B&B on TripAdvisor. Write a TripAdvisor review for Netherton Farm here. My recent stay at Netherton Farm couldn't have been more wonderful. The B&B is charming and clean and the beds comfortable. The grounds are beautiful and there are wonderful sights to see from here within walking distance that are really worth seeing. The service is excellent and the owner goes out of her way to make everyone feel special and welcome. It makes for a wonderful memory and I look forward to visiting again soon. Dear Romay, thanks again for your generous hospitality. Our children and we enjoyed every single day of our week at Netherton Farm. Starting a day with your mouthwatering breakfast (I still dream of your porridge and fruit salad), discovering the places on the Black Isle and surrounding landscapes you hinted us at, and after that sleeping in the comfortable room with such a great view… that's what I call a perfect vacation. Thank you so very much! We will come back for sure! Had a lovely stay last month. Great hosts. Wonderful breakfast. The best view. Hope to come again one day. We had an amazing stay for eight days at Netherton Farm. The room was really perfect for a couple and the breakfast was always delicious. Thanks for this wonderful days with full of fun and great hints for our day trips, Romay! I'm sure, we will meet again! Hi, Just wanted to say thank you for the great stay. Very friendly, relaxed atmosphere and stunning place to be inside and out. Great breakfast with a stunning view. Will see you next June with the misses in tow. …at the farm on our cycle from John O' Groats to Land's End. We were made to feel very welcome and the animals are amazing, the breakfast was the best of the trip, thanks again. Had a great night at Netherton, would highly recommend, breakfast was delicious, rooms were very comfortable. Will definitely be back for longer next time. Looking forward to staying longer! Romay - thanks for making us all so very welcome, during our brief stay. You have a totally authentic approach to what you do and provide a really comfortable and welcoming retreat, which was just the ticket for us. I had the best night’s sleep I’ve had in a long time – which is saying something considering Ian’s snoring! The breakfast set us up a treat for the day. I'll be back with other members of the clan! We really enjoyed our brief stay at Netherton Farm, it was a great start to our few days in Scotland. Fantastic location, rooms were wonderful and the breakfast was lovely. Your warm welcome and hospitality was great, we will be back for longer next time. Thanks very much. It was wonderful. Send our regards to everyone, don't forget Shylo! We enjoyed a snuggy comfortable night in your lovely house. The large, beautifully furnished farmhouse was very clean, peaceful surroundings, very tasty breakfast but most importantly for us our timid dog was made to feel very welcome. 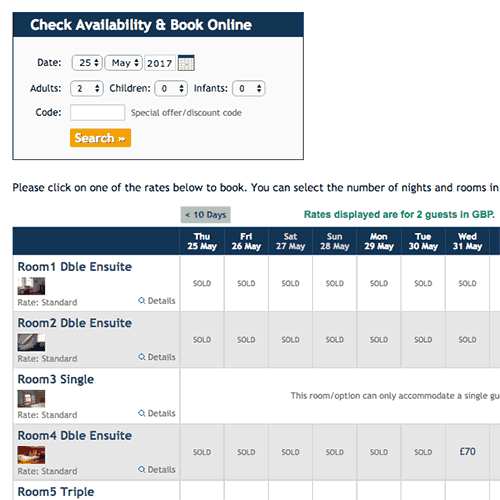 We will recommend any Orkney travellers to take a night's rest there. Thank you and hope to visit again! We were lucky, stayed four nights there during our Scotland trip, it was like coming home, very nice stay, great host and the chance to get in touch with a lot of very nice people. We will come back anyway! Thanks to Romay and all the people that made us feeling very welcome! Home away from home… but better! My wife and I stayed here in August, coming up from the madness of London. We couldn't have asked for a better stay and a more amazing host. Romay is a wonderful lady who welcomed us into her beautiful home and from the beginning made us feel at home by giving us a tour of this fantastic country farmhouse full of interesting books and original mismatched furniture which gives the place a very relaxed and homely feel. Our room was fantastic with a beautiful view over the wheat fields, the bay and the lush green hills in the distance. Breakfast was delicious and Romay was very accommodating with the times so we never felt rushed to get up at set times. We always had a choice of what to eat and were always full and ready to take on the day especially after eating Romay's Quinoa porridge! If you are looking for a quiet place to stay away from it all in a beautiful setting then you should definitely call and hope Romay can book you in. …very much, more than we can say. Romay is a really hard working, friendly and warm host and we suggest everyone who wants to go to the north to stay at her B&B. Unbeatable. All the best and lots of visitors! Stayed at Netherton Farm for the night. Was a last minute trip and found the farm on the Internet. Was delighted from the moment we arrived. Beautiful farmhouse with outstanding views. Romay greeted us warmly and showed us around her lovely house. Lovely is an understatement, is a fantastic place to stay. Beautifully furnished, clean rooms and a superb breakfast in the morning, couldn't have asked for anything more. 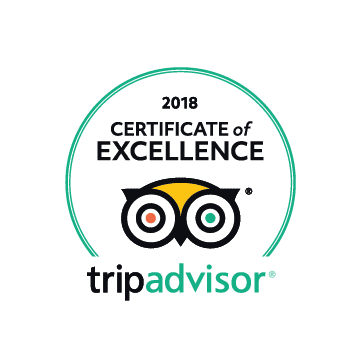 Will definitely be back, and if you're reading these reviews wondering whether or not to book a stay here, do it now - you won't be disappointed - is first class. Thanks Romay! Every time I go up north I stay at Netherton - loads more class than the big hotels and with views to die for. If you like the uniform design, cellophane wrapped feel, this place is not for you. However if you're looking for somewhere with the individual touch, farm feel (with animals too), you have to try Netherton. The quality of accommodation, attention to detail and personal care are second to none. I would pay double! I came to stay at Netherton Farms in Nov-Dec 2010, as a shy, single American woman travelling alone - to tour and do genealogical research in the region. I can't say enough about how Romay, her daughter and the others made me feel safe and comfortable. The house has the most stunning views, incredible food, warm smiles and welcomed advice for the uncertain traveler… and even maps! In the two weeks I was at Netherton, I fell in love with this house, with Scotland, and with an Invergordon man. I’m now moving to the area to be married and one day dream of living on the Black Isle. Needless to say, Netherton Farm is quite “inspiring”. I can’t wait until my American family has the chance to have a stay! Myself, my brother and friend stayed at Netherton for a few months in 2008 while working nearby. I can't praise Romay enough for making us feel at home! My brother sadly passed away shortly after our stay but some of my best memories of him are of our Thursday nights spent in front of the log fire having a laugh! My brother loved the stunning views! The first chance I get I will be visiting Netherton again! Four of us stayed at Netherton on the 28th or August and we can only give it a glowing review. The rooms were warm and comfortable with amazing views of the Scottish countryside. The breakfast was local produce and delicious, I had fruit, cereal, coffee, toast and a cooked English breakfast! Romay the owner even kindly posted me my phone charger which I had left in my room. I cannot fault the place and would stay again anytime. We had an excellent 2-night stay at Netherton while visiting nearby family - really relaxed atmosphere to come and go at any time and Romay was brilliant to leave us out some breakfast for our early (4am) journey to catch a ferry. The house is lovely and our room was very comfy with wooden floors, gorgeous views and a massive bed. Stayed here on a tour of the Highlands on motorbikes. Superb location, easy access and fantastic views. Excellent hospitality and comfy rooms. Stayed over Christmas 2009 after travelling from Singapore to visit family. Thoroughly enjoyed my stay, made to feel very welcome, considering the busy time of year no request was too difficult. Warm and friendly atmosphere,fantastic food. Warm, cosy accomodation with spectacular views of the nearby snow capped mountains. Was able to come and go as I pleased during my stay. Highly recommended for short or long stays. Just back from two wonderful nights at Netherton Farm. Fabulous views and a fantastic room. Breakfasts were great. Romay is a terrific host and we would highly recommend anybody stay here - our break was splendid! My daughter and I stayed one night in Netherton Farm at the beginning of June, and we were so sorry we didn't book a few more nights! Hospitality was excellent, we felt we belonged there… great atmosphere… beautiful house… mindblowing views… interesting guests… what more can we add? What a lovely stay we had at Netherton, our room was very nice and cosy, and the view from our room was delightful, not to mention the lovely breakfast before our long journey back home through the snow of the Grampians. Romay was very hospitable and even gave me the recipe for the special porridge which we ate. We will certainly be coming there again hopefully next summer. Desde España queremos agradecer sobre todo la hospitalidad de Romay porque nos hemos sentido como en nuestra casa. El desayuno era estupendo (prometo hacer la receta que me diste) y las vistas al mar espectaculares. Nos ha encantado la tranquilidad y la paz que se respira en ese lugar, ya que era justo lo que buscábamos. Gracias Romay. Very friendly hosts with superb views out of our room over the Cromarty Firth. The recommendation to eat at the local pub was also excellent with superb food in a good atmosphere. Finally a great breakfast to set us up for the following day. We will be back! We enjoyed our stay at Netherton Farm very much indeed. Our room was so comfortable and the view must be one of the best to be found in Scotland. A really beautiful, peaceful location with first class hospitality. We were sorry our stay wasn't longer but we hope to come back another time. Thank you! What a view from our bedroom window! Thoroughly enjoyed our time - great hospitality and what a view from our bedroom window! We felt the place had soul. Met some of the locals. Overall a very pleasant stay.